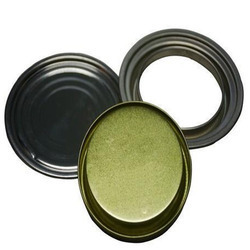 Our product range includes a wide range of tin can components. Utilizing the most modern technology and latest machinery, we bring forth the wide array of Tin Can Components. The offered components are manufactured with the help of premium quality material and ultra-modern tools in compliance with set industry standards. These components are widely used in automobile industries for different purpose. Clients can avail these components from us at market leading prices. Looking for Tin Can Components ?